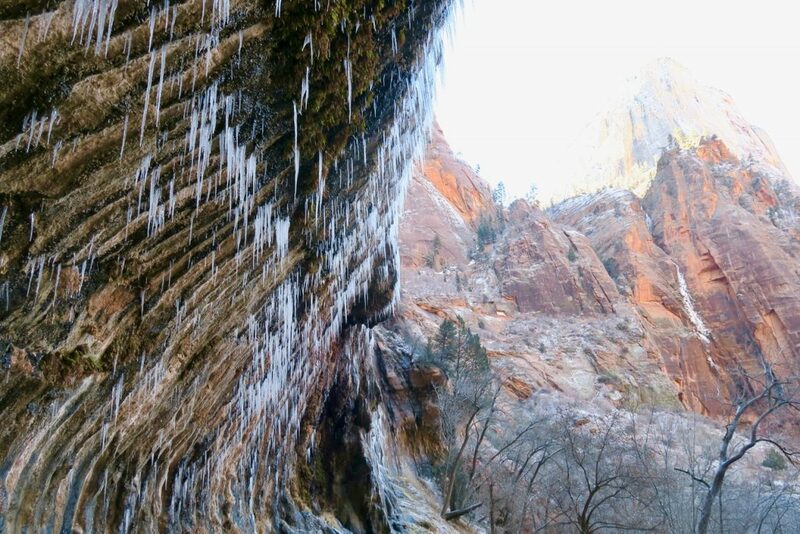 Zion National Park was a detour on our road trip route, but was a stop I was willing to go out of my way for. The journey was meant to take a lengthy nine hours but due to getting stuck between a massive snow-thunder storm it took a little longer and was a much more of an adventure than we had anticipated. Making our way through Arizona towards Utah, the landscape had transformed from dull highway to a backdrop that Road Runner and Wile E. Coyote would not have looked out of place in. With such incredible scenery all around, I could not be held captive within the car so enforced a couple of stops so I could run around the dramatic surroundings. It felt incredible to be out in the wild again, especially after having to miss out after being so ill in Albuquerque. As we crossed the border into Utah the sun set, but the sky was soon lit up again by sheet lightning which was so bright it looked like aliens were landing between the rocky hills. The thunder that accompanied the spectacular light show was just as impressive and loud booms shook the car. I love a good thunderstorm, but the timing wasn’t ideal; as the weather intensified the roads we were on began to narrow and street lights became few and far between. 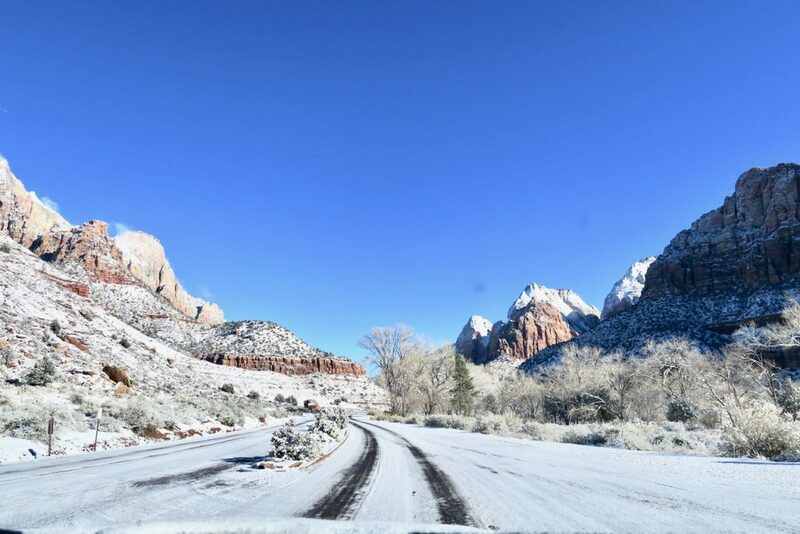 Reaching the entrance to Zion National Park the snow hammered us and began to lie on the already icy roads. Pitch dark winding roads, deers jumping out in front of the car, and rocks falling from around us – I felt like we were in a computer game, with only one life remaining. Thankfully Pablo and I are both pretty calm, and though both seriously fearing for our lives, we stayed quiet, concentrating on what we could see of the road ahead. The 12 miles took us almost an hour and a half but finally we made it to Springdale and I was so relieved to be safely tucked up in our cozy room at Flanigan’s Inn. It was so dark on our arrival that we had no idea that we were surrounded by the most incredible views, which was a wonderful surprise to pull back the curtains to. The ground was still covered in sheets of ice so we grabbed a leisurely breakfast at Oscar’s Cafe and eavesdropped on the other, more experienced, hikers to try and work out the best plan of action. Hearing that much of the park was closed and potentially dangerous didn’t put us off and we hopped back in the car ready for adventure. We are not the most organised travellers so hadn’t packed for winter hiking; so we rented fleeces, waterproofs, and crampons. The weather was not ideal but nothing could keep me from exploring those snow capped peaks. 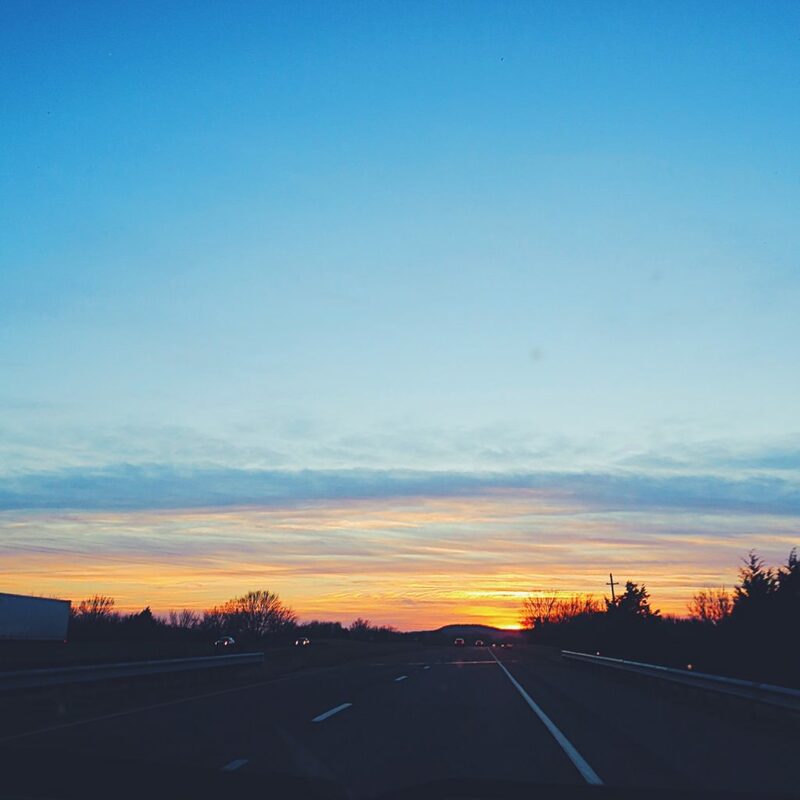 Driving into the park I was already taken back by its beauty. As were are not professional hikers (by any stretch of the imagination) we decided to start easy and climb the short Weeping Rock trail. The trail was mainly paved and was a great way to warm up. When we reached the falls waterfall tears had frozen into menacing icicles and it was as if Mr Freeze from Batman had come along with his gun and stopped the water instantly in time. Feeling pumped after our first walk we felt confident that we could easily take on a medium effort trail up to Canyon Overlook. As we climbed higher and higher the path got narrow and icy, also the 2km seemed to be taking an awfully long time but it was worth it to see the views across the park. Eventually we reached a passage that was so ice covered and had a sheer drop on one side I felt uncomfortable and decided it was time to turn back. 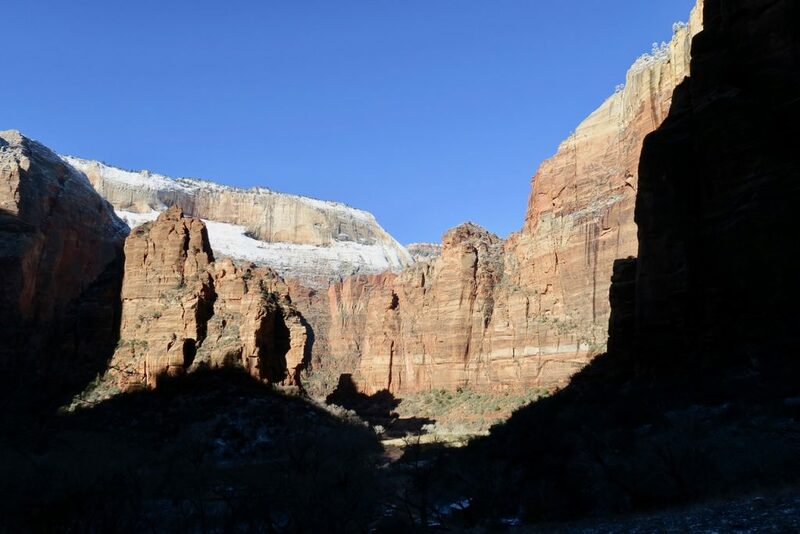 I was disappointed that I hadn’t made it all the way to the Canyon but soon we bumped into a couple of experienced hikers who had also decided it was too treacherous a route, which made me feel a little better. Sliding our way down was much easier than the climb up and we soon reached the car where we warmed up and planned our afternoon. On closer inspection of the map we realised that we had in fact just taken on the Hidden Canyon Trail, one of the more strenuous rated hikes, which was an error but left us feeling much more confident in our ability. Many of the trails were closed due to the weather, so we took the Kayenta Trail as advised by the woman we rented our equipment from. The sun had come out, which brought up the temperature but also melted some of the ice, turning much of the path into a slidey mud bath. Squelching our way higher and higher the views got even more spectacular. Twisting and turning our way round the mountain we climbed rocks, jumped over streams, and clambered around a frozen waterfall. Due to it being low season and not ideal weather conditions we only came across a few other hikers, which made Pablo and I truly feel like we were adventurers. 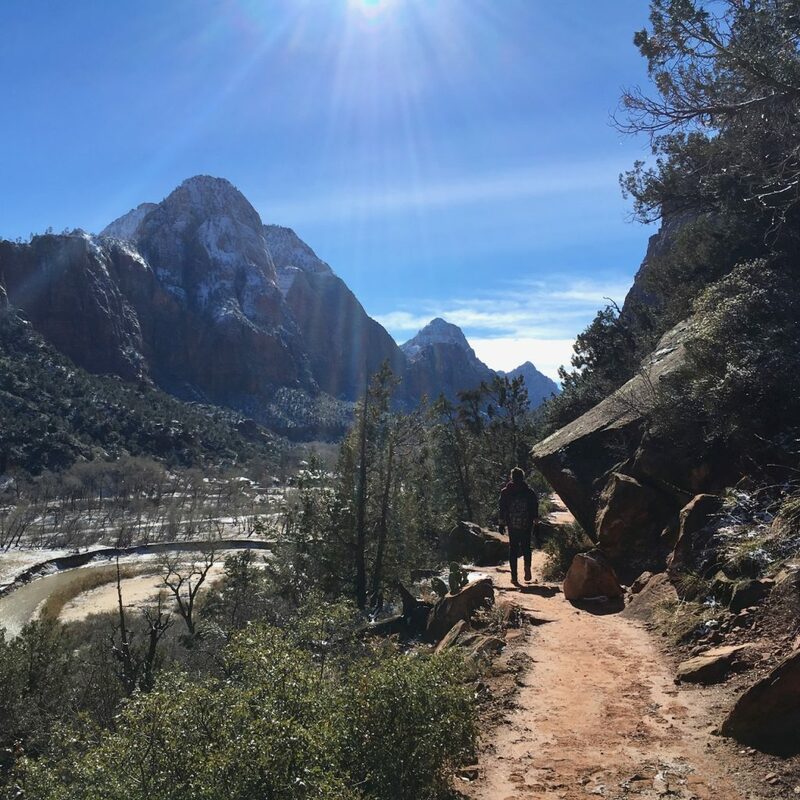 Zion is one of those special experiences that is too beautiful and special to put into words and the only way I can really describe the feeling of being there is that it is a place where you feel your size versus the rest of the world. 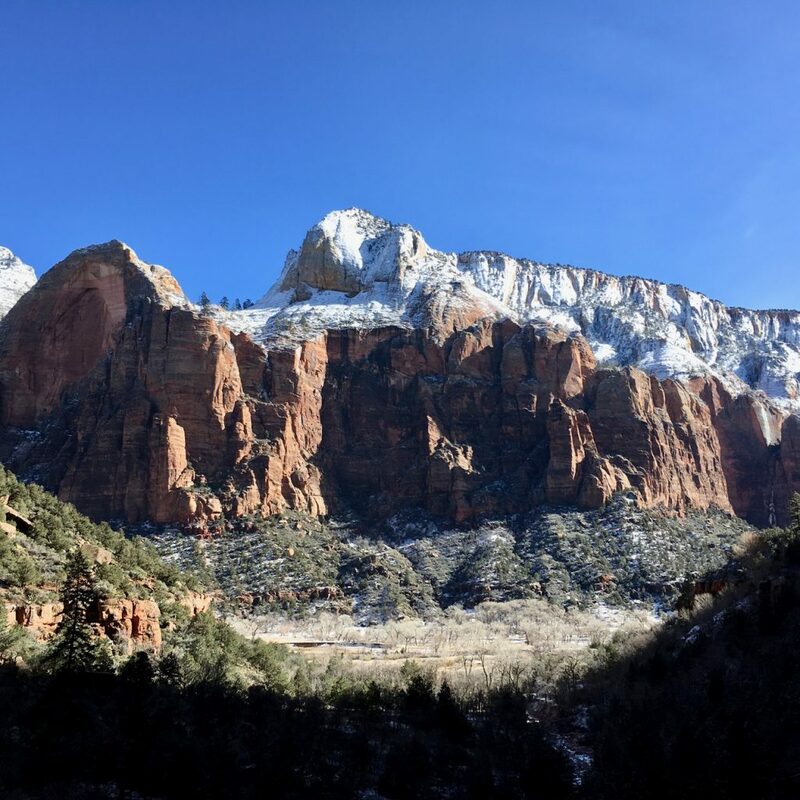 Clambering around the red rock faces surrounded by blue skies and snow I truly felt free and it was one of those days that will be ingrained in my memory forever. 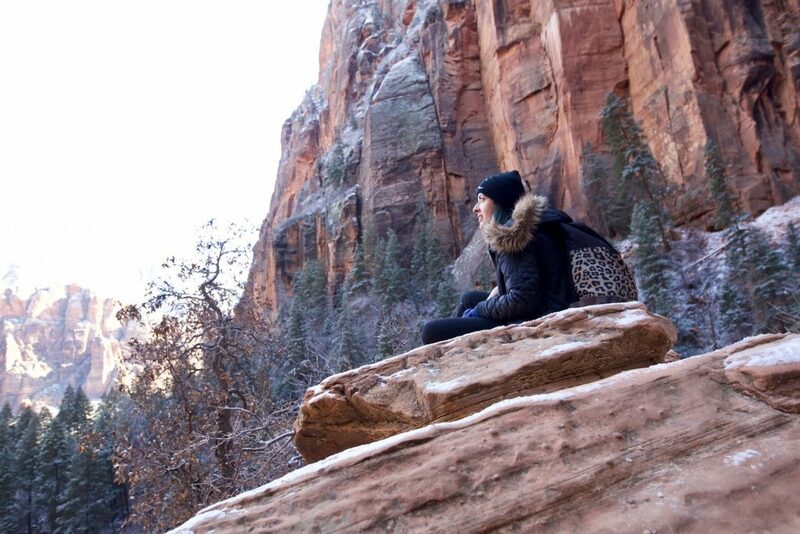 Our day hiking Zion was both exhausting and exhilarating and was so worth the detour and near death experience.